To celebrate the release of The Mark of Athena, Rick Riordan’s latest book in his Heroes of Olympus series, I created this short video to give you a fun summary of the Percy Jackson and the Olympians series and the first books in his latest series. I’m looking forward to listening to the audio version, and if you’re dyslexic, as part of my video, I also talk about how you can enjoy these books too, whether your mom reads them to you or whether Learning Ally reads them to you. 🙂 You can also listen to the audio CDs from your public library. Percy Jackson is a dyslexic who has extraordinary powers, and in addition to being a demigod, he’s a really nice guy. He made me feel better about myself, because he’s a dyslexic who is also a hero! 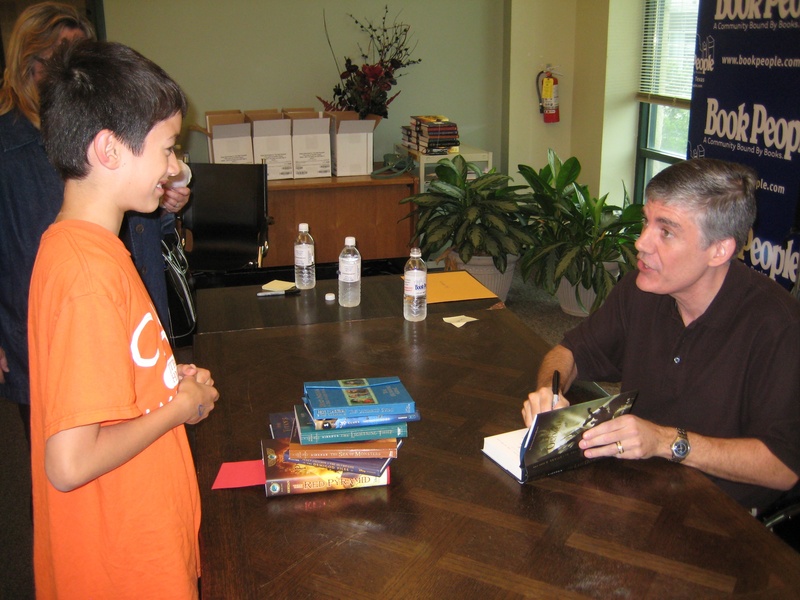 If you’re in Austin, Texas, be sure to stop by BookPeople on October 8, to be part of the parking lot celebration of Rick Riordan’s latest book, The Mark of Athena. You can enjoy the fun games and activities and pick up a signed copy of the book. I’ve been to past book releases at Book People, and they’re a lot of fun! In the picture above, I picked up a Camp Half-Blood t-shirt at the The Red Pyramid book signing. And during the release party of The Lost Hero, Mr. Riordan said that he would like to also write a book series with Norse Mythology, but at the time, he was busy writing his Greek/Roman and Egyptian series. If he starts writing the Norse series, it would be really cool to see how Odin, Thor, and Loki are portrayed. Will they be similar to what we’re used to, or will they be really different? It’ll be fun to find out! Listening to my 8th grade science textbook using my Victor Reader Stream. Today, I’m expanding my blog beyond my usual invasive species and scientific posts (but don’t worry, invasive species and science will still be my primary focus!…and in a way, this is a bit scientific too), to share a story with you about a topic that is near and dear to my heart…dyslexia. Why dyslexia? Well, because I have dyslexia. So What Exactly is Dyslexia? First, what is dyslexia? To put it quite simply, all it means in Latin is “trouble with words”. Sounds so simple but it really isn’t. Just ask anyone with dyslexia who has tried to learn how to read! From the Wikipedia definition, dyslexia is a very broad term defining a learning difference that impairs a person’s reading fluency, accuracy, or comprehension. And it doesn’t stop there. Some of us with dyslexia can also have problems with handwriting – dysgraphia, and still others can also have challenges with math – dyscalculia. I have struggles with both. 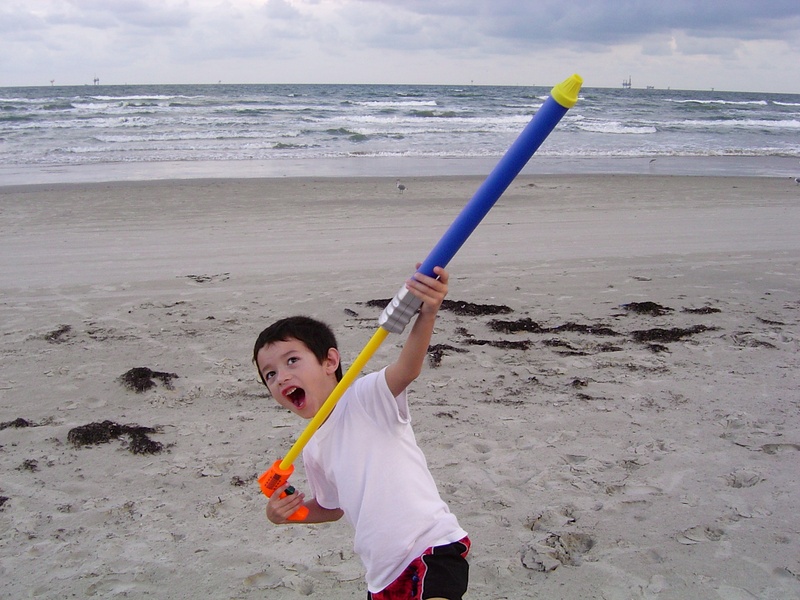 Young Commander Ben – Invasive Hunter! My story starts way back when I was in kindergarten. My teacher noticed how well I spoke and what a great vocabulary I had (traits not uncommon in people who have dyslexia), but at the same time how I struggled to recognizing the letters of the alphabet. My school contacted my Mom, who had me tested, and sure enough…I had dyslexia. Right away, my parents made arrangements for me to be taught how to read by a Certified Academic Language Therapist (CALT). Why right away? Because according to dyslexia experts, such as Dr. Sally Shaywitz, M.D. at Yale University’s Center for Dyslexia and Creativity, early intervention is so important for helping kids with dyslexia learn how to read. I spent 8 years working with a CALT and am now able to read…slowly. Over the years, my reading teachers used a variety of Orton-Gillingham based multi-sensory approaches to teach me how to read. “Multi-sensory” basically means teaching visual, auditory, and tactile elements all together to help improve memory and learning. For example, when I was little, my teacher would have me put plastic alphabet letters in order, then have me say each letter’s name and make its sound, then trace the letters with my finger. These multi-sensory types of programs have been proven successful for about 70 years when teaching people with dyslexia how to read. But With Reading Slowly, How Did I Keep Up With My Schoolwork? So how did I manage with my studies all these years? And how did I keep up with my grade level reading? That’s where Learning Ally comes in. (Formerly Recording for the Blind and Dyslexic.) This is such a great organization of wonderful people who volunteer their time to read and record text books so that kids…and adults too…can have all the reading materials they need to stay informed. Thanks to advances in technology, it’s as simple as picking out the book I need from the Learning Ally online catalog at their website, and then downloading it to an SD card. 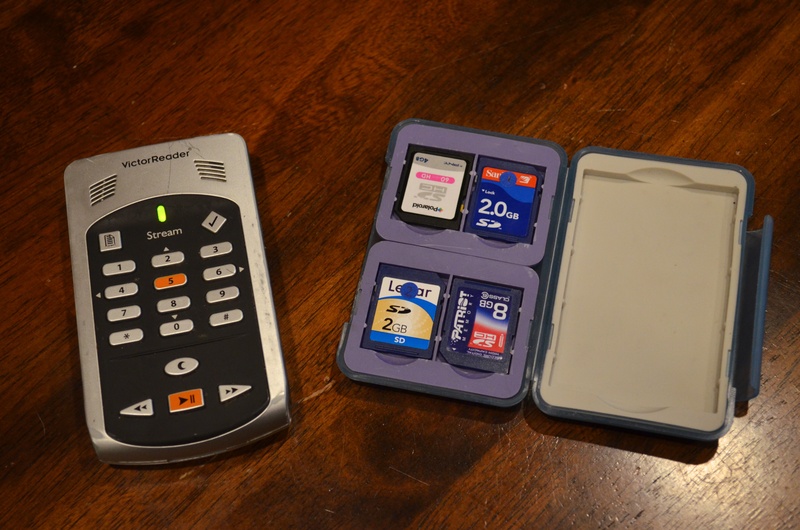 Then I insert the card into my external reader, which is about the size of a small handheld tape player, called a “Victor Reader Stream” made by the HumanWare company. 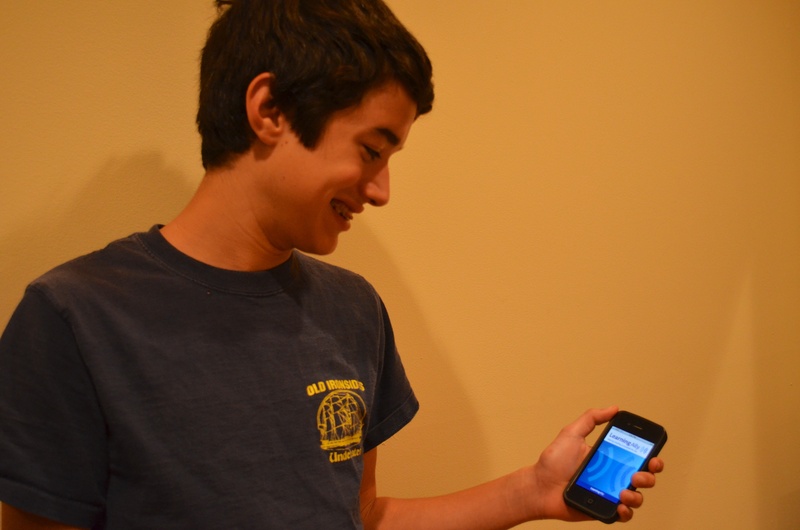 This is the Learning Ally app for the iPhone. But What About Other Kinds Of Reading…And How About Writing? But what if I want to read something on the Internet? And what about all the typing I have to do? Not just for school but for my blog too! Well, I’m so happy that I live in the 21st century! Thanks to text readers and voice-to-text software, life is a lot easier for me now than before these inventions. They’re not perfect, but they get better and better every year. Here I am using the iPad Text to Speech function. 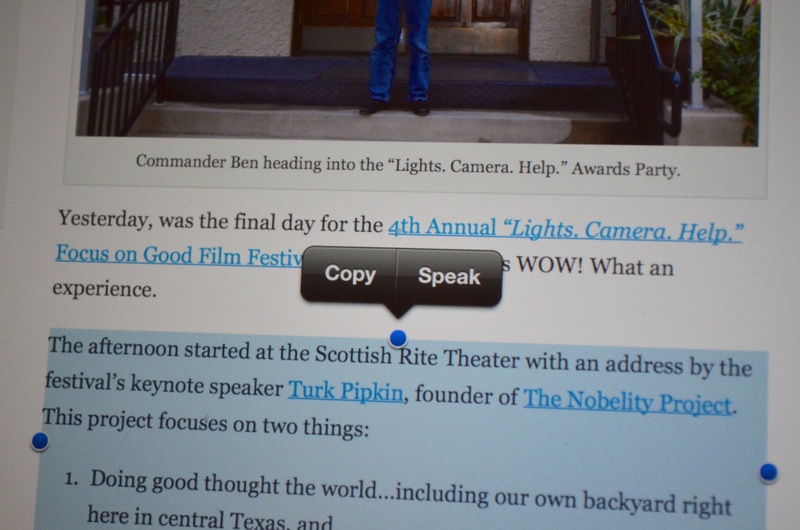 The latest Apple iPad has a text reader that sounds quite good. All I have to do is highlight what I want to read, as you can see in the picture above, and then tap on the “speak” icon. The voice is a bit computerized sounding but it is very clear and easy to understand. 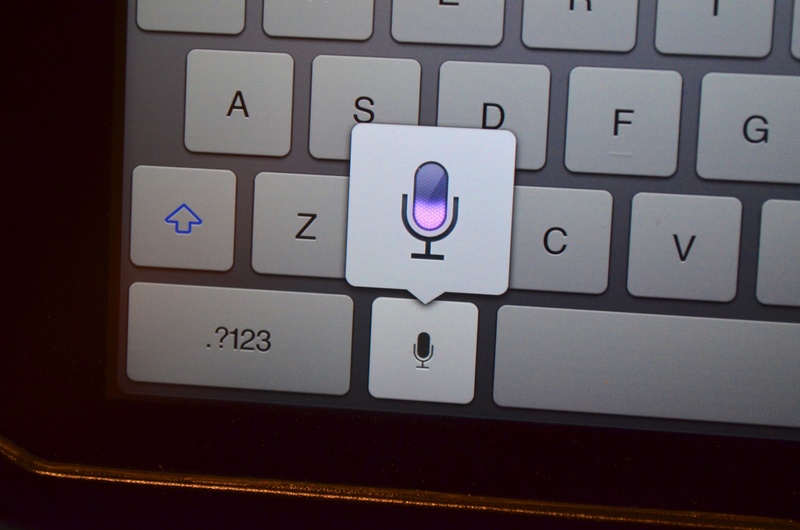 The iPad also has a small microphone icon – dictation mode – that is a very reliable voice-to-text tool. This is great because typing can be a bit of a challenge for me. (And don’t getting me started talking about how hard handwriting can be…) Oh! And Siri on the iPhone is amazing! 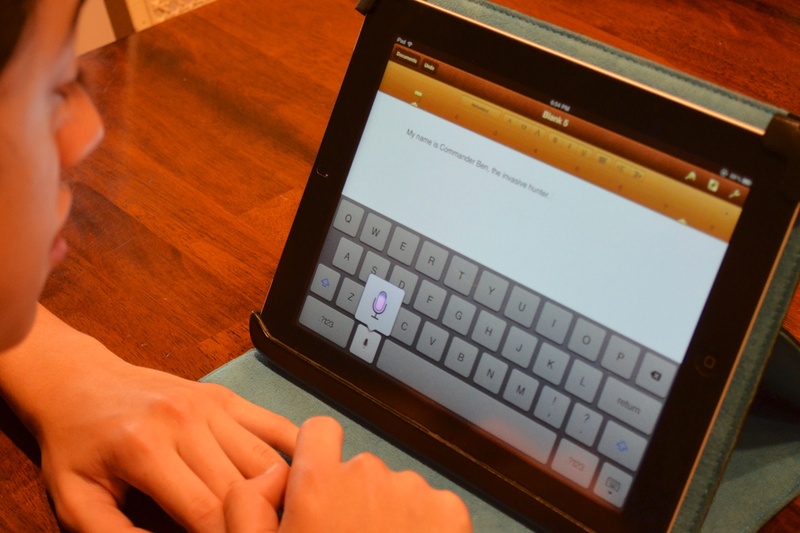 Here I am using the iPad Diction Mode. It’s been a hard road for me but I wouldn’t change a thing because having dyslexia is part of who I am. And I like to think that it has made me both tenacious when it comes to life in general, and empathetic to understanding the various struggles others have in their own lives. But most important, I learned early on that the key to working with my dyslexia was to always persevere and never give up…and be eternally grateful for spell check! 😉 I think that’s something many of us can agree upon regardless of how well we read and spell. But even more than spell check, it’s my parents to whom I’m really eternally grateful. I can’t begin to thank them for all they have done for me. They are so supportive and always there for me, making any sacrifices necessary when it comes to helping me get the help I need. And they are always there to encourage me and reassure me that I can do anything I put my mind to. Over the next few days, here on my blog, I’ll be sharing some stories and videos about my adventures with dyslexia. 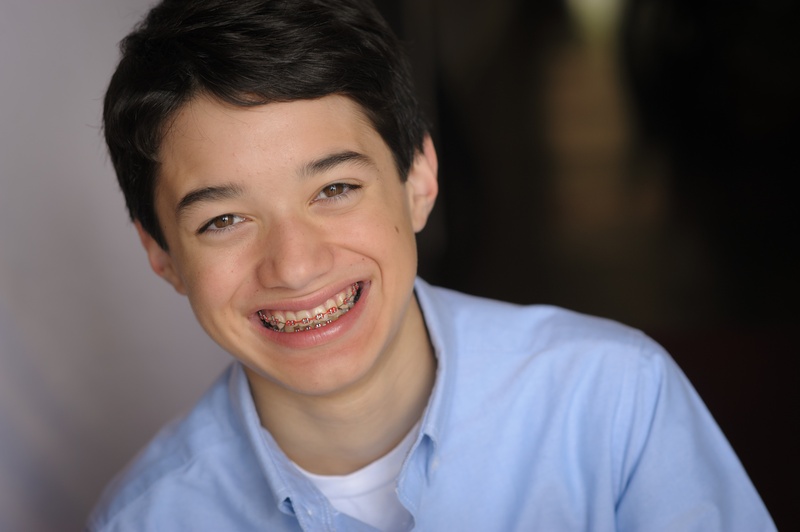 I’m a very positive person 🙂 , and I think that I have always tried to maintain a good sense of humor about having dyslexia, so hopefully you’ll find my stories and videos, not only educational, but fun and entertaining too! I really hope this information I’m sharing will help people with dyslexia stay informed about all the technology available to make our lives easier. (And I hope that even folks without dyslexia, or teachers who work with kids who have dyslexia, will find this information useful!) But most important, I hope that I can inspire other kids who have dyslexia to know that anything is possible and to never become discouraged. We can achieve whatever we set our minds to! 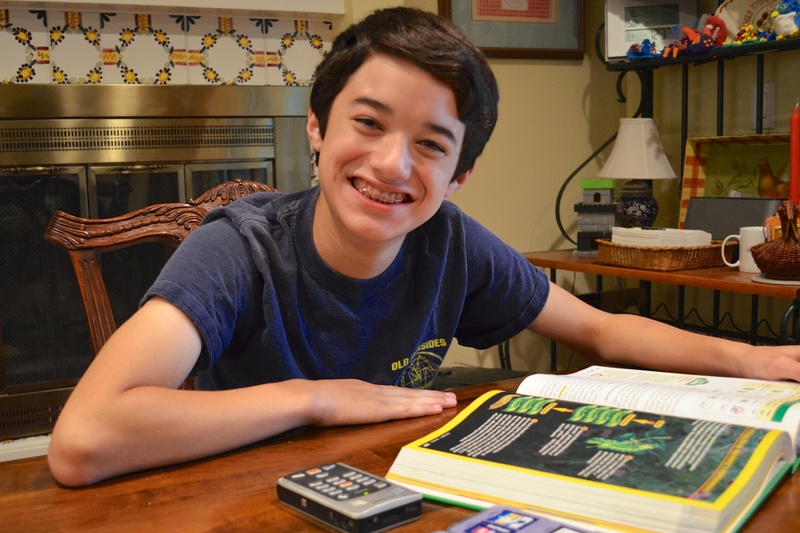 Be sure to visit the Dyslexia page of my blog to read all my posts on this subject.